Summer vacation is really here now! Kids are on their school break and onto their summer vacation. It only means that most kids are at home now and they need to be busy so they become productive while they are not at school. Though it's fun to see them play at home with their toys and gadgets, kids will learn more and gain more experience if they will go out too. Parents, let them experience things outside your home too. 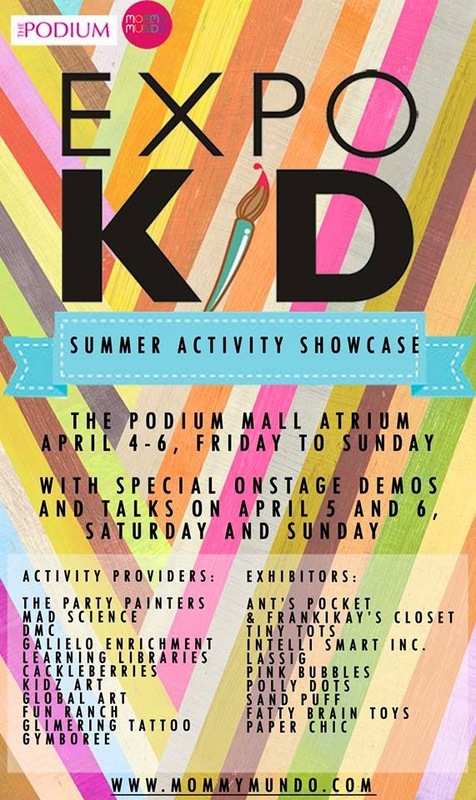 Let them join the Summer Fun at Expo Kid 2014 to be held at Trinoma to let their creativity shine. They may not make magnetic healing bracelets as what adults can make but they can do a lot of fun kiddie activities with other kid.